After getting a tattoo, most of you know that you need to be careful, and most of you know you shouldn’t do anything too strenuous for a while, but some of you gym and fitness buffs will be itching to get back into your routine as soon as you possibly can after getting inked. Working out with a new tattoo can be done, but you must be careful with your approach. This article sets out to explain precisely what you should and shouldn’t do when it comes to exercising with a new tattoo. When Can You Start Working Out Again With A New Tattoo? 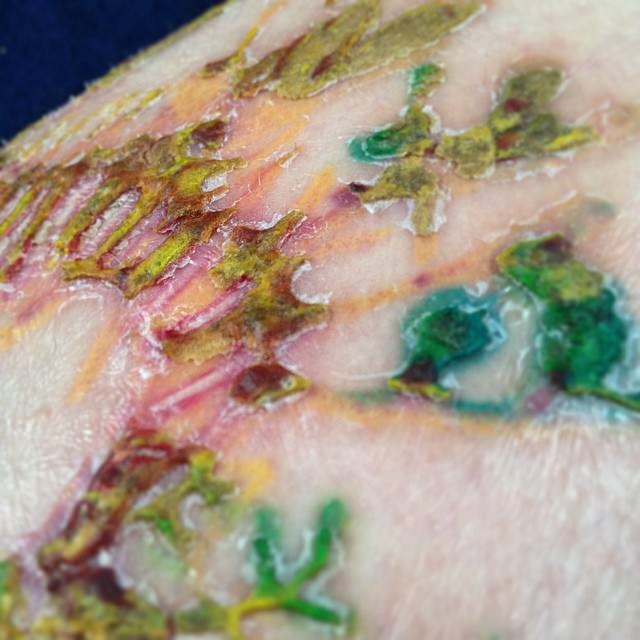 Tattoo Age - A new tattoo is going to be much more vulnerable to getting damaged compared to a tattoo that is a few days into the healing process. While some people chose to work out on the very same day they get their new tattoo, this is generally discouraged, and you should allow your body at least a short time to recover. Tattoo Placement - Tattoos that are placed out of the way during an exercise or workout you’re undertaking will mean it’s less likely to become damaged, whereas if your tattoo is in a location relevant to what you’re doing, there is more of a chance of an incident occurring with your ink. If you’re playing soccer with a small tattoo on your forearm which is covered under a long-sleeve shirt, it’s unlikely you’ll have too much trouble, whereas if you were playing soccer with a new tattoo on the top of your foot, things become a lot more dangerous for your ink. 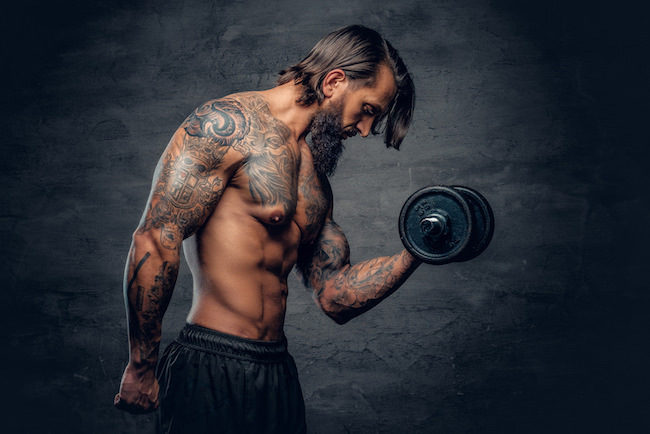 Workout/Exercise Type - All types of workouts, exercises, and gym routines pose different challenges to a new tattoo, depending on what body parts are in use and how likely it will be for a particular tattoo to be involved in the type of exercise you’re doing. This ties in well with the point above about tattoo placement. Workout Intensity - The harder and more intense you work out, the more likely it is for your tattoo to become damaged. Firstly, the harder you’re working out, the less you'll be focusing and worrying about your tattoo. This means you may momentarily forget about your new ink and may possibly do something in the heat of the moment that may cause harm to it. Secondly, heavy perspiration (sweating) around a brand new tattoo can disrupt the ink which has yet to have a chance to settle in place underneath the skin. This disruption can cause the ink to leach out of the lower layers of the skin, potentially leaving areas of patchiness and fading. Lastly, the tattooing process (especially with larger tattoos), is very taxing on your body. Needles are being poked in and out of your skin thousands of times over the course of the session, prompting a massive healing response from your body. This healing response requires your body to get as much rest as it can achieve in order to continue healing the area as efficiently as possible. Carrying out intense exercise too prematurely after getting a tattoo and not giving your body the time it needs to rest can cause delayed recovery times and lesser quality healing. Workout Clothing - You need to be especially careful with what you wear when it comes to working out and exercising with a new tattoo. Clothing that is too tight can cause the tattoo to rub against it, causing irritation and possible fading. On the other hand, clothing that is too loose can invite dirt and bacteria beneath it, opening your tattoo up to the risk of infection. Workout Location - As above, working out in a dirty gym or a muddy field can open your tattoo up to all kinds of harmful germs and bacteria, which can delay healing times and even cause permanent damage to your ink if you don’t get the infection looked at and treated quickly. What Are The Risks Of Working Out With A New Tattoo? Rubbing & Irritation - Rubbing your tattoo on either clothing, exercise equipment, or other body parts can irritate the recovering area of skin and further delay healing. 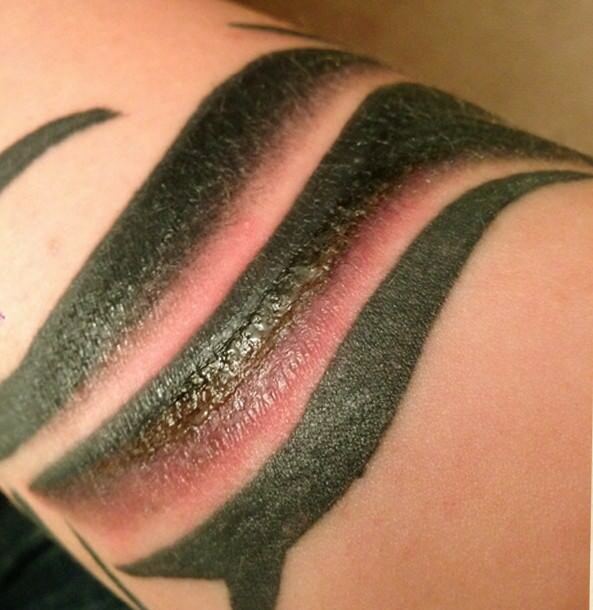 Ink Loss - Losing ink﻿﻿ from a tattoo is not as uncommon as you may think. 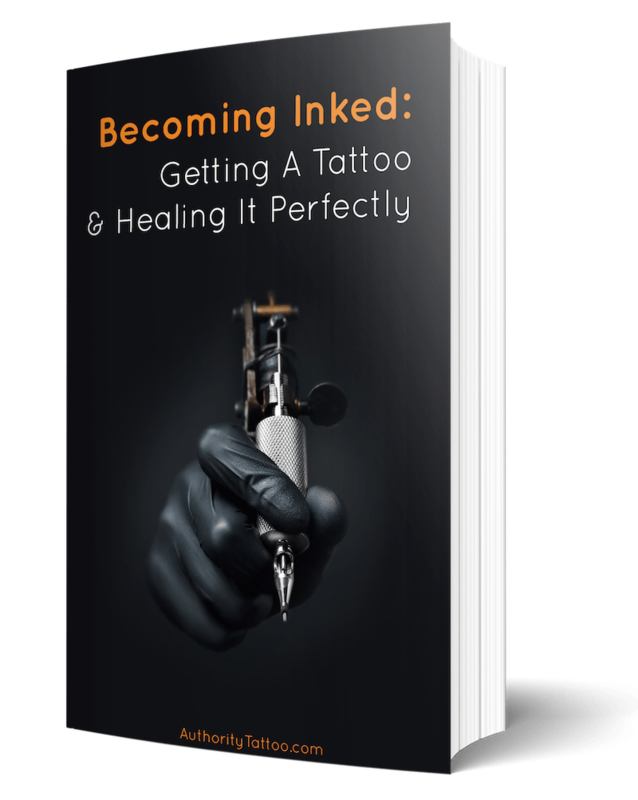 Although tattoos are generally quite good at retaining most of the ink during healing, certain events can increase the risk of ink being lost through the upper layers of skin. Getting a tattoo saturated (wet) can cause ink to leak out quite quickly, so your hardest to keep the area dry. This also means you should not attempt to do anything too intense and which may cause profuse sweating around the area of your tattoo. While a little sweating is completely natural and shouldn’t cause a problem; excess quantities of sweat could cause areas of the tattoo to leak small amounts of ink, which in-turn could lead to noticeable fading. 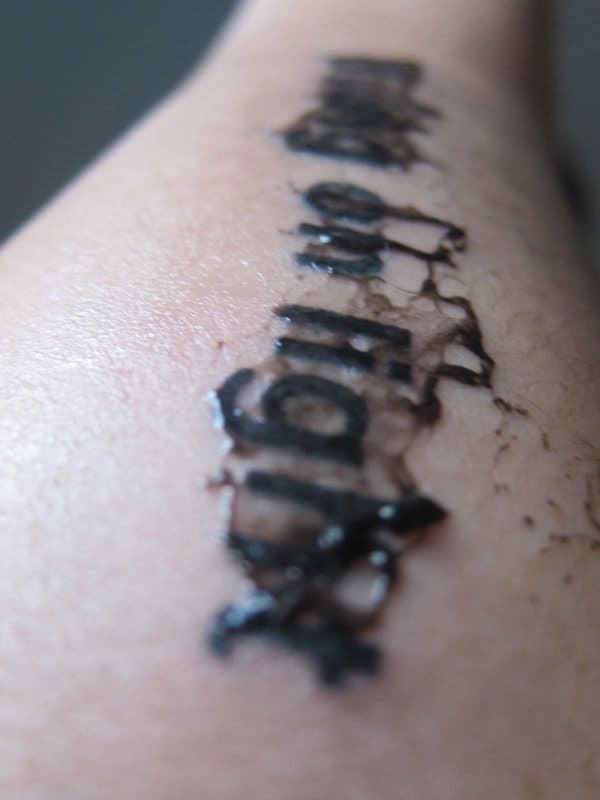 Ripping A Scab - K﻿﻿﻿﻿eeping scabs intact and attached to your skin until the very last point where they fall off entirely on their own accord is very important while your tattoo is fading. Even if a scab is hanging on by a thread, it could still be attached deeply enough to pull out ink if it’s accidentally (or purposefully) ripped off. For this reason, you need to be exceptionally aware of your scabbing tattoo at all times when exercising, as the smallest of movements could rip a scab away from the skin. Keeping a tattoo covered as best as possible with protective clothing is a good way of shielding it. Feeling Additional Pain - Brand new tattoos can be especially sore and tender for several days after the procedure, especially if the session was a long one (as more damage will have been inflicted on your skin). Any touching or rubbing against your tattoo can painful, so be aware of this if you’re planning on participating in any sports or activities which may involve occasional contact between the tattooed area of your body and any other object, including other areas of your body. You must also be aware that getting tattooed around a joint will generally cause pain and discomfort every time that joint is moved (at least for a few days). Getting An Infection - A crucial point to remember when exercising with a new tattoo is that you will be much more prone to infection while your skin is still healing. A new tattoo is essentially just a large open skin wound, and therefore you should try your utmost to treat it like one. 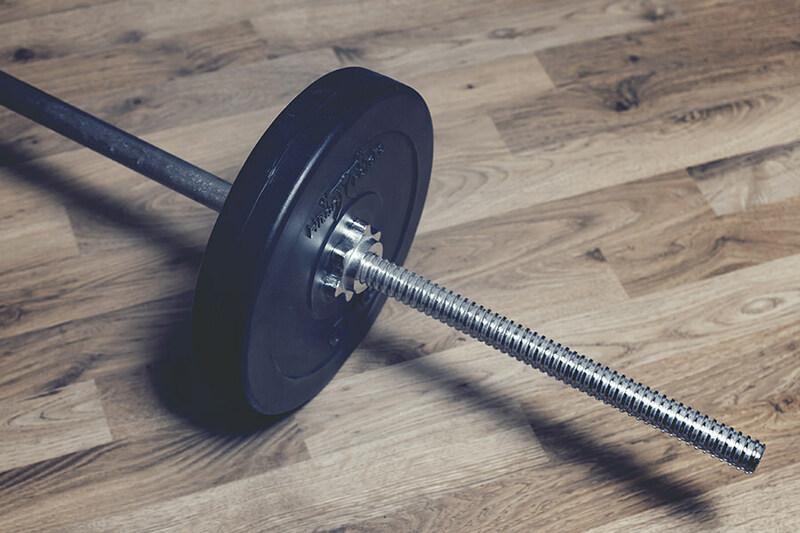 Participating in dirty sports like soccer and rugby are a big no-no, and be aware that most gym equipment is generally filthy and teeming with harmful bacteria, therefore, keep your tattoo well away from sweaty weight benches and floor mats. Allowing your new ink to come into contact with any form of bacteria highly increases the risk of your tattoo becoming infected. If an infection is not treated promptly enough by a medical professional, it can potentially lead to permanent damage to your tattoo. Potential Decreased Performances - Participating in competitive sports while nurturing a new tattoo can be detrimental to your performance for many reasons. Pain and tenderness could cause you to slow down, worrying about the tattoo could cause you to lose focus in your activity, and recovery from a long tattooing session could make you feel overly exhausted. 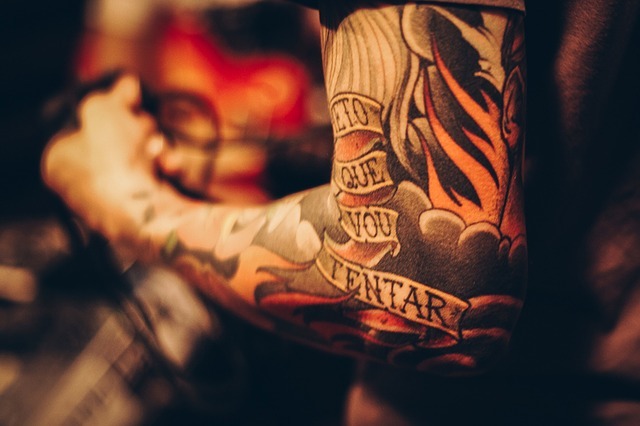 Make sure you know before entering any kind of competitive activity that there is a real risk your tattoo could make you perform much less than optimal. Always clean your tattoo thoroughly as soon as you possibly can after finishing exercising or working out - especially if your tattoo has come into contact with something dirty. It’s extremely useful if you try to remember to take a good antibacterial, skin-sensitive soap with you to wherever you’re working out so you can sterilize the area immediately upon finishing. Once clean, apply a good tattoo healing lotion or skin-sensitive moisturizer to the area to re-hydrate the skin and to promote a quicker healing​ response. Finally, remember that gym showers and locker rooms can be disgusting, and although they may sometimes look clean, they can still be crawling with tattoo-disfiguring bacteria, such as ones which can cause Staphylococcal (staph infection) and Cellulitis. Therefore, keep your tattoo well-shielding, even after you’ve finished your workout/exercise routine. Working out and exercising with a new tattoo isn’t exactly optimal, but if you must do it soon after getting inked then be sure to follow the tips and advice above so you can be confident your tattoo ends up healing as best as it possibly can.